Welcome to The Strategist Six, a feature that provides a glimpse into the thinking of prominent academics, government officials, military officers, reporters and interesting individuals from around the world. 1. We’ve seen a steady rise in religious extremism in Indonesia in recent years. Does that trend pose a serious threat to Indonesian democracy? Religious extremism has always been around in Indonesia. The big difference today is the failure of the nation to deal with this firmly as radical groups capitalise on freedom of speech to spread their hate-filled and violent ideology, particularly through the internet. The government is unable to distinguish between legitimate Islamist voices and those that openly promote violence to push for their Islamist agenda. We’ve seen many clear-cut cases of crimes being committed in the name of Islam, and the government deciding to look the other way. Democracy is undermined not by the rise of religious extremism, but more by the government’s inability to uphold the law. 2. Jakarta governor Basuki “Ahok” Tjahaja Purnama is on trial for criminal blasphemy. Will he survive as governor and how big a political challenge are these proceedings for President Joko Widodo? Ahok’s case is being tried in court, but it remains to be seen whether the judges can withstand the pressures brought on them by radical Islamic groups that mobilised support on the ground and the internet to turn public opinion against the incumbent governor. Criminal blasphemy are the charges brought against him as Ahok is a Christian of Chinese ethnicity and he was, until recently, leading in the surveys for the February 2017 gubernatorial elections. President Widodo and National Police Chief General Tito Karnavian found the pressure too much to bear to prevent Ahok from being dragged to court. It reached the point where Widodo had to choose between saving his buddy Ahok or his presidency. Widodo has since been drumming support from mainstream Islamic organisations like Nahdlatul Ulama and Muhammadiyah, and from the National Defense Forces (TNI), to counter the campaign by those using Islamic banners, by portraying them as undermining Indonesia’s diversity and unity. 3. For most of ASEAN’s history Indonesia has played a key role in shaping its direction and working towards a more stable region. With ASEAN now clearly under strain can we expect Indonesia under Jokowi’s leadership to once again take the lead in helping resolve differences between the member states? ASEAN’s leadership is always Indonesia’s for the taking because it’s the largest member. Much depends on whether the Indonesian president wants to exercise this leadership or not. Jokowi is more preoccupied with domestic issues than his predecessor, Susilo Bambang Yudhoyono. But Indonesia remains consistent in its belief that ASEAN is the best way for member countries to collectively channel their voices and fight most of their aspirations in international affairs. The challenge is bigger now with gnawing differences between members countries on several major issues, like the South China Sea dispute. Indonesia exercised its leadership in ensuring ASEAN foreign ministers addressed the South China Sea in the final statement at their meeting in Vientianne in July. 4. China’s claims over much of the South China Sea have generated serious splits within ASEAN. Do you believe it’s still possible for ASEAN to reach agreement on a code of conduct for the South China Sea? Indonesia, and ASEAN, can only try to persuade China to sit down and conclude negotiations on the code of conduct, which is essential for the peace and stability of the region and beyond. The code wouldn’t guarantee that the multiple territorial disputes would be resolved, but it would ensure that countries refrain from using force in pursuing their interests in the South China Sea. It’s in everyone’s interests that negotiations on the code of conduct be concluded soon. 5. How would you evaluate the current threat posed by Islamic State and its affiliates in Indonesia? The National Police have foiled several terrorist plots in recent months, some of which had connections to ISIS. Ironically, the threat in Indonesia is likely to grow if ISIS continues to lose ground in Syria as it will force its fighters to flee and take their battle outside the territory. Some of these will return to Indonesia. ISIS already has adherents and supporters in Indonesia, not only from those known radical groups but also new recruits influenced by its propaganda in the internet. It’s really up to the police, and their intelligence capability, to monitor and to act to prevent the next big terrorist attack in Indonesia. So far, they’re doing a great job. 6. Bilateral ties between Australia and Indonesia have just experienced another hiccup—this time over defence cooperation. How do you assess current relations between Jakarta and Canberra? How committed is Joko Widodo to the idea of a closer strategic partnership? President Jokowi’s prompt response, ordering his top defense officials to resolve the case and prevent it from spreading, indicates how he values this relationship. We have two leaders in Canberra and Jakarta who understand the strategic interests of this relationship and who have shown their commitment to resolve problems that arise from time to time—and they keep propping up—on a case-by-by case basis, and to not allow a single hiccup to undermine the entire relationship. There are forces in both Indonesia and Australia who will keep trying to widen and escalate each dispute between the two countries to harm the relationship. 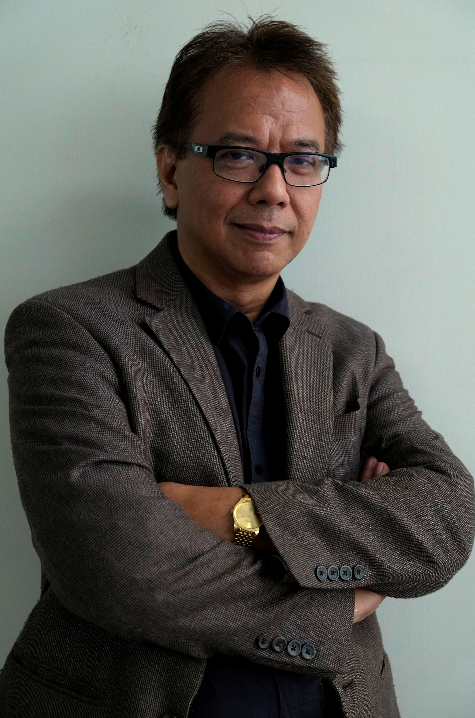 Endy Bayuni is a senior editor at The Jakarta Post. Image republished with kind permission.